Whenever art is talked about, it remains meaningless without the mention of Sadequain: an artist with a multifaceted approach towards art. He was muralist, portrait maker, calligrapher, poet and above all a revolutionary who transformed the artwork in Pakistan and presented something very unique, innovative, artistic and bold. 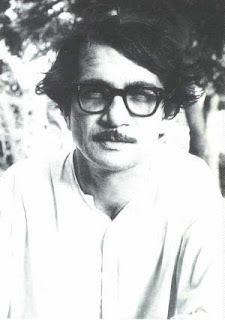 Syed Sadequain Ahmed Naqvi, who is also often referred to as Sadequain Naqqash Faqir Sadequain (a self-proclaimed faqir) or simply Sadequain was born in 1930 at Amroha of the undivided Indian subcontinent in the family of calligraphers. His artistic roots also lead him into the world of art, painters and calligraphers and became a world renowned painter in his lifetime. His work first surfaced in 1954 at Quetta when he held his first solo exhibition. He was brought to limelight by the 5th prime minister of Pakistan Hussainn Shaheed Suhrawardy who had some paintings done for his residence and later a mural at Jinnah Hospital, Karachi in 1955. 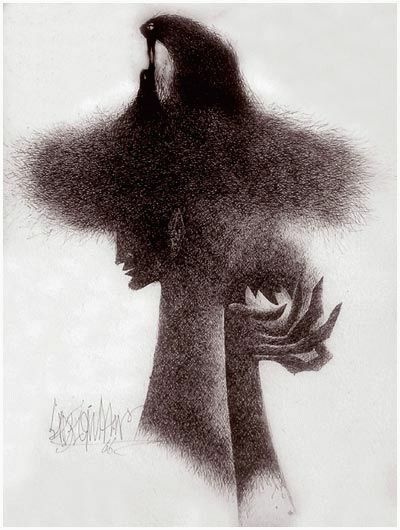 Sadequain then traveled to France USA and many other European and Middle Eastern countries from 1961 onward to exhibit his artwork and was appreciated where ever he went. His monumental mural of 100 x 12 feet ‘Treasure of Time’ was a masterpiece which he did for the State Bank of Pakistan building at Karachi. The mural pays tribute to the human intellectual advancement through the course of history by highlighting Greek philosophers, European luminaries of renaissance, Arab scholars, and twentieth century stalwarts complete the visual narration. He continued with his mural artwork which are displayed at Frere Hall Karachi, Lahore Museum, Punjab University, Mangla Dam, Aligarh Muslim University, Banaras Hindu University, Indian Institute of Geological Sciences, Islamic Institute in Delhi, and Abu Dhabi Power House and many other places. These murals provide a peek into the life of the era by capturing characters and portraying scenes from social and cultural events that take place at the time. Apart from his murals, he painted men of the unprivileged class showing their agony, grief and misery in the back drop of desert thorns. These angular, lean figures, usually clad in/around cactus not only showed the miseries of the people around him, or perhaps himself too. 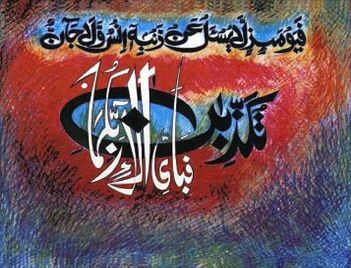 In his later works specially in the 70s, he switched over to calligraphy – something that was in his blood. 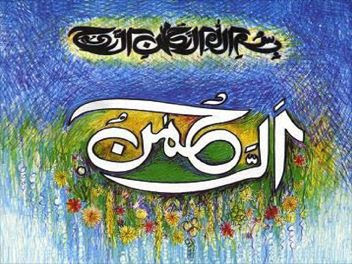 His beautiful depiction of Surah Rehman from the Holy Quran is something that introduced a new style of Islamic calligraphy – something that was instantly copied by many and fake calligraphic works appeared in market by lowly artists to earn money. 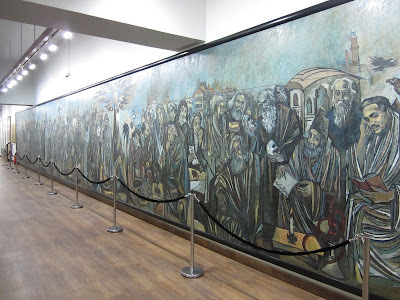 Whereas Sadequain never sold his paintings for money earning. He would refuse it to the rich, but would just give it away to friends and admirers for free.